New paint is the easiest way to give your home a fresh, new look and Aubin Ace Hardware has all of the best products on the market! 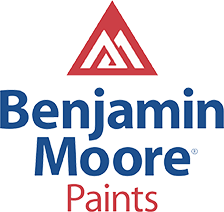 As a Benjamin Moore dealer, we carry their full lines of interior and exterior paint, offer color matching, and our own line of sundries! We also carry a variety of painting materials and products you’ll need to get the job done right the first time. From the moment you walk into our showroom, our team will help you find everything you need to transform your home. ©2019 Aubin Hardware Inc. All rights reserved.